When a linguist and musician at UCLA wanted to teach her newborn daughter Armenian, she realized that song is an ideal medium to transmit language. She began translating common tunes into Armenian—and this book is the result. In this volume, 16 songs from the English, Armenian, and German traditions are recast in a bilingual Armenian-English format. An accompanying compact disc features all-new arrangements of each song, professionally recorded, and a delightful aid to listening and signing along. The oversize (9 x 12 inches) paperback includes an Armenian-English guide to pronunciation, and charming color illustrations. 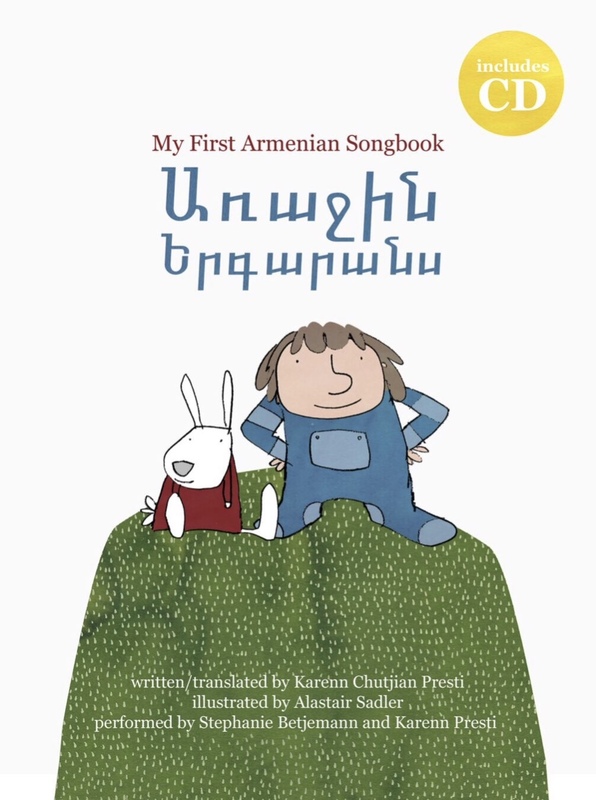 For parents of young children—or even for adults who want to ease into Armenian— My First Armenian Songbook is ideal for being exposed to Armenian language and culture.